by Ayesha Rascoe NPR April 13, 2018 3:05 p.m.
White House press secretary Sarah Sanders blasted fired FBI Director James Comey's new book at the White House briefing on Friday. 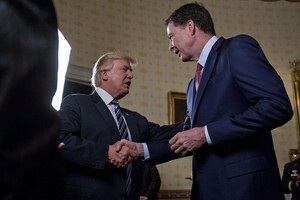 The White House sought to discredit James Comey ahead of the release of his memoir next week, lashing out at the former FBI director in deeply personal terms on Friday. Calling Comey a “disgraced partisan hack,” White House spokeswoman Sarah Sanders told reporters the American people would be able to see through the “lies” in Comey’s book, which offers a scathing assessment of President Trump. “This is nothing more than a poorly executed PR stunt by Comey to desperately rehabilitate his tattered reputation,” Sanders said at a briefing. Comey’s book, A Higher Loyalty: Truth, Lies, and Leadership, is set to officially be released next week, but details about the memoir began to leak on Thursday. 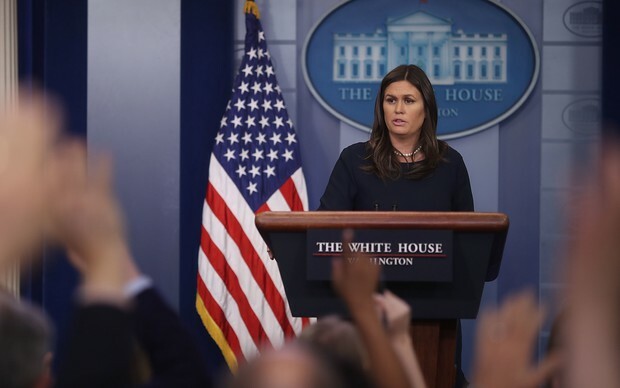 Asked to describe what the White House felt Comey was lying about, Sanders said he had given differing accounts for why he handled the FBI investigation of Hillary Clinton’s email server the way he did and about whether he had felt pressure to end any probes. This is not the first time that the White House has worked to undercut an unflattering book. In January, Michael Wolff’s White House expose, Fire and Fury, painted a picture of a dysfunctional executive branch and raised questions about Trump’s fitness for office.